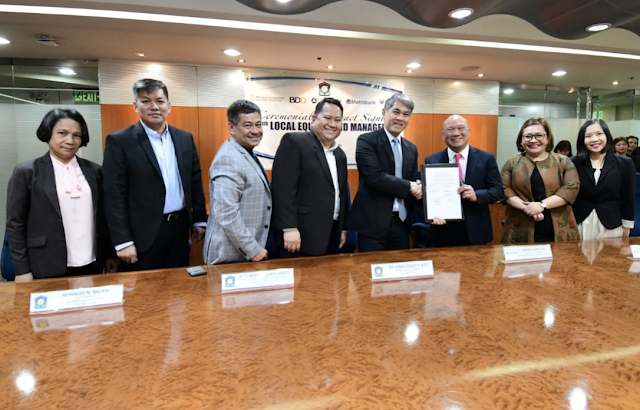 Metropolitan Bank &amp; Trust Co. (Metrobank) signed a US$ 300 Million 7-year Bilateral Term Loan Facility with ICTSI Global Finance B.V., guaranteed by International Container Terminal Services, Inc. (ICTSI). I’m giggling while writing this. Let’s start off with my balls hanging like a chandelier under a damp towel surrounded by other naked people, casually chilling around. You get the image? Lol! We’ll get into that later. As you may know, I’m not that into spas, I prefer visiting my derma because my skin is the one that needs attention. Recently, we went to I’m Hotel, Onsen Spa inside the red light district of Makati. Ate Dech aka Clumsy Clariss (my makeup mother) already reserved our appointment couple of days ago and it is indeed a hassle free transaction. We just filled out some basic information sheet, chose our preferred massage (I selected shiatsu because it sounds boujee LOL) and we're good to enjoy it all. Even though we've had some orientation regarding the amenities, I still feel like a lost child in a huge spa. Imagine that little girl from spirited away when she first enters the bathhouse, that's me. On the second floor, we were given our own locker key wristband, yukata, towel and a pair of slippers. It may sound funny to you but to me, entering that spa feels like I discovered a new world that I never knew existed. RuPaul's "Were All Born Naked and The Rest is Drag" hit immediately played on my mind. I was slightly traumatized by the images my eyes cannot unsee. I rushed to my locker, stripped and put a towel on because I was so embarrassed. I followed the instruction on the spa's wall religiously because I literally have no idea what to do after stripping. I was shaking when I entered the shower room. In my head was the question "What the hell am I doing here?". I switched on the shower and just let the water flow all over my body. It was at this point that my agitated nerves succumb to the warmth of the water and the scent of their cucumber body wash & shampoo. Where the hell do they buy these? After cleansing my body I asked myself again what now? Actually, there are 3 spots to choose from. The first one is the sauna, the second is the steam room, and the third is the onsen itself. Onsen is like 3 feet pool with hot therapeutic water. Since I’m very conscious of displaying my naked body-yady-yady, I chose the steam room because there was no one inside. During that time all I want is to be alone. I almost regret it upon stepping in. It was so hot it feels like a rehearsal for hell. I tried to calm myself amidst the heat because the more I move, the more I feel it getting under my skin. Instantaneously I felt relieved. This is crazy detoxifying and I love it! The next one I tried is the sauna, it’s nothing compared to the steam room. The heat was tolerable but it will still give you that relaxing mood. The inside smell of wood and I don't know maybe "MY" sweat smells therapeutic. LOL! I can stay there for-evah! After trying those amenities, we went upstairs to the massage room. There’s a tea section where you can drink and sit on a lazy boy couch before they call your name for the massage itself. One by one we were escorted by the masseuse to a small room separated by curtains. I removed my yukata and just covered my body with a towel, then masseuse started the shiatsu. It’s a dry massage that focuses on stretching, and to be honest, it was meh. I did a little split here and there after our session because it’s not enough for my rubbery body. We went back to the spa and I dipped on onsen pool one last time before dressing up for dinner. Their buffet area is located on the 4th floor and it was a wide array of European/Asian cuisine. The food is just okay, there is nothing special besides the fact that you can get food as many as you want. Well, that's how a buffet works. Thank you for reading, ciao! Groomed eyebrows are such a trend these days, the hashtag #eyebrowsonfleek has become a big deal especially to the social media savvy set. 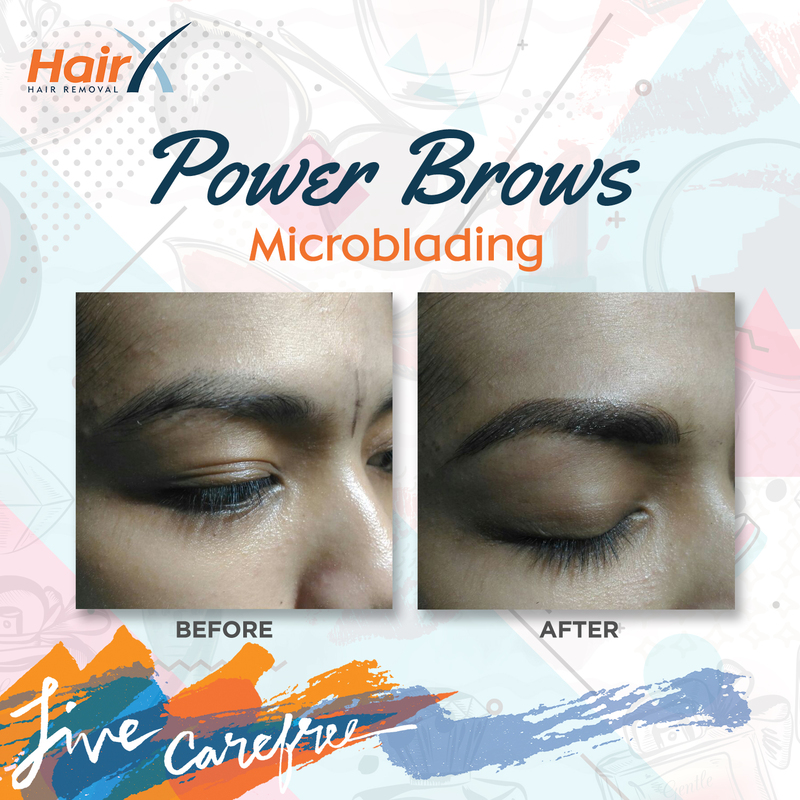 But more than getting onto the FB/IG bandwagon, having perfectly-groomed brows accentuate the eyes, shape the face and make one look younger. Shaping the eyebrows can be quite challenging. One needs a little help from HairX Hair Removal, a local hair removal clinic inspired by Musee, Japan’s No.1 hair removal salon that uses the latest in equipment, techniques, and procedures. SPA VIRGIN: My Onsen Spa Experience! BROW-MANCE: FOR THE LOVE OF EYEBROWS!